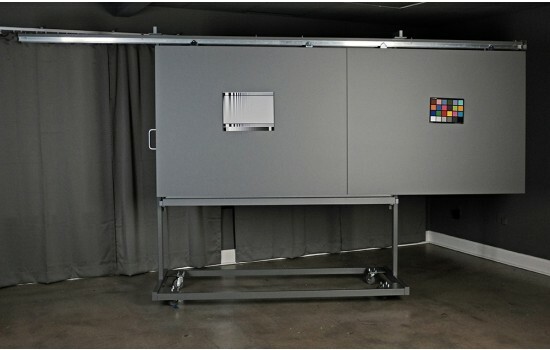 This Modular Test Chart Mounting System offers great efficiency and versatility. 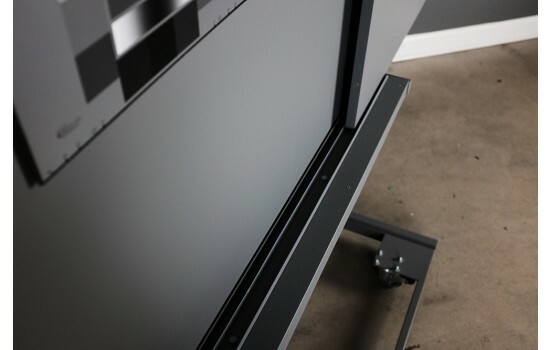 The base model consists of a 48" x 75" (122 x 190.5 cm) gray center panel attached to a rolling stand frame. 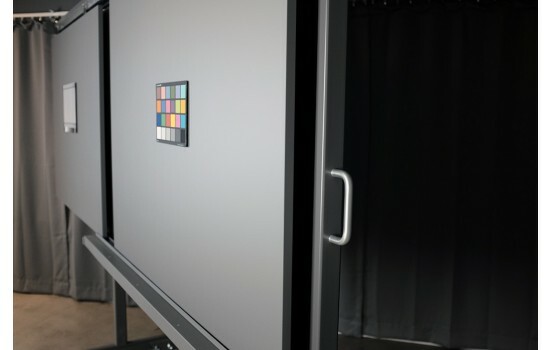 An optional sliding rail system allows for up to 6 additional 48" x 60" (122 x 152.4 cm) panels, as well as a table top attachment, to be added to the base model at any time, and as needed. 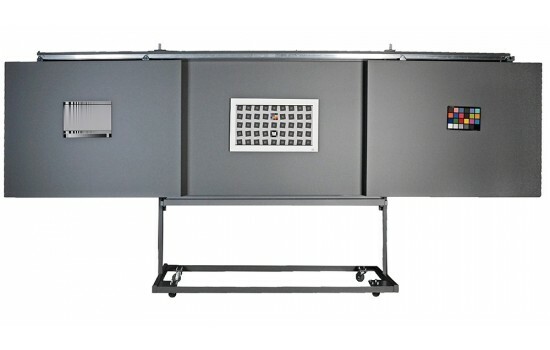 These panels can be easily moved into position, offering quick interchangeability between many different charts. 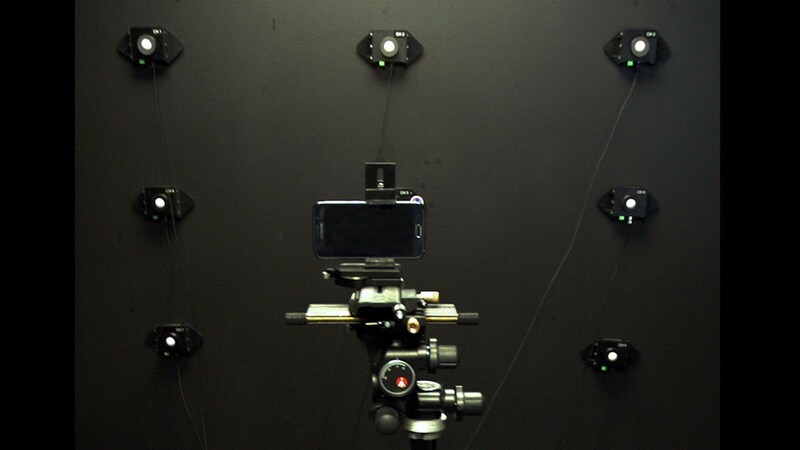 The table top option is useful for creating a natural still image scene for subjective image quality assessment. 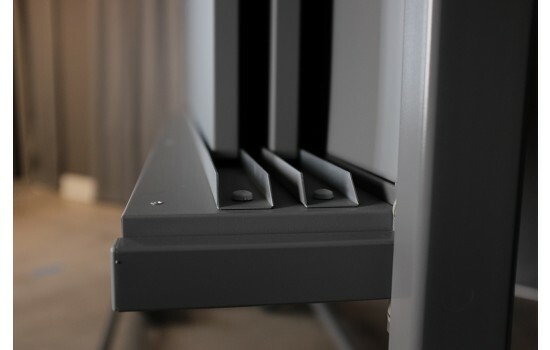 Each panel of the system consists of a metal surface with neutral gray (N5) baked enamel matte finish, to which charts can be easily mounted using magnets. 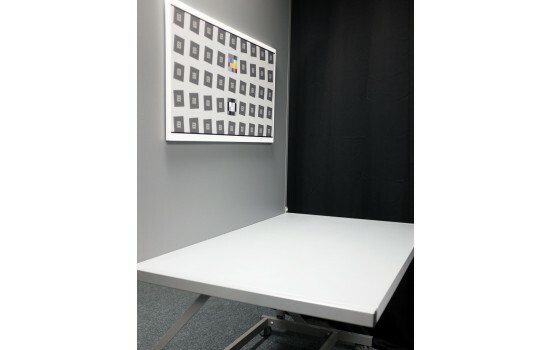 The Modular Test Chart Mounting System was designed specifically to accommodate both small and large-sized charts. 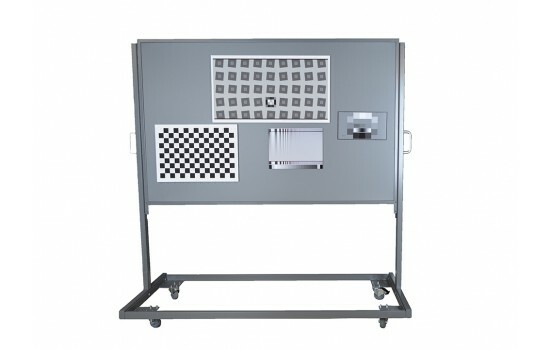 This Modular Test Chart Mounting System has a number of available options and can be custom built to meet your needs.